IdeaWorks One Size Fits All / Custom Fit Belt - Black | BUDK.com - Knives & Swords At The Lowest Prices! 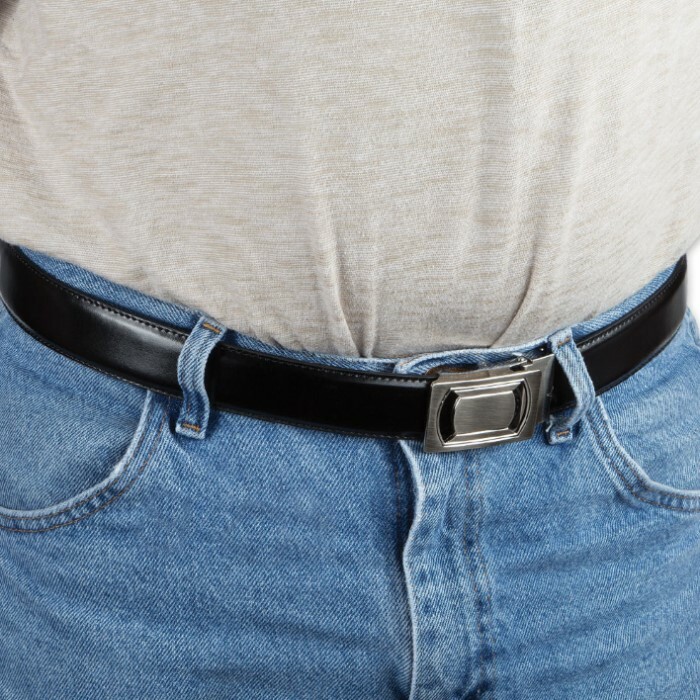 Fits waist sizes 28" to 56"
No matter your waist size and no matter how much it changes over time, the stylish, innovative "One Size Fits All" belt from IdeaWorks is never too loose and never too tight. In the immortal words of Goldilocks, it's always "just right!" 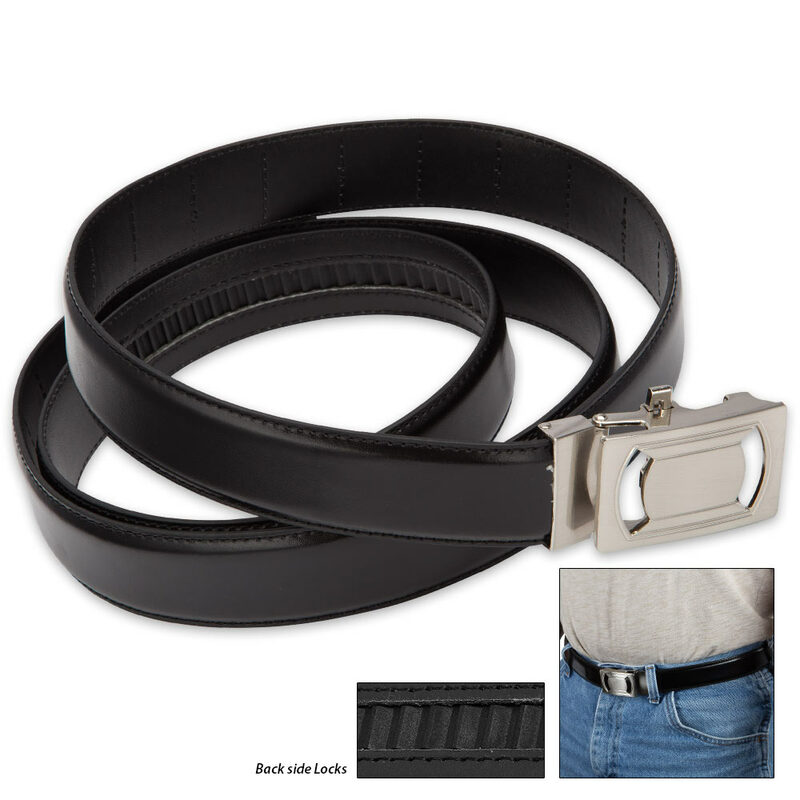 Unlike traditional tongue buckle belts with adjustment holes every inch or so, this handsome genuine leather belt adjusts every 1/4" for a fit that's always tailored to your unique body. Have a waist size that falls in between typical size offerings? Working hard to drop pounds and trim your waistline? Or maybe holiday overindulgence added a couple of inches to your ordinarily trim waist? Regardless of your waist size, body type or waistline changes, the "One Size Fits All" Belt is consistently snug and comfortable. 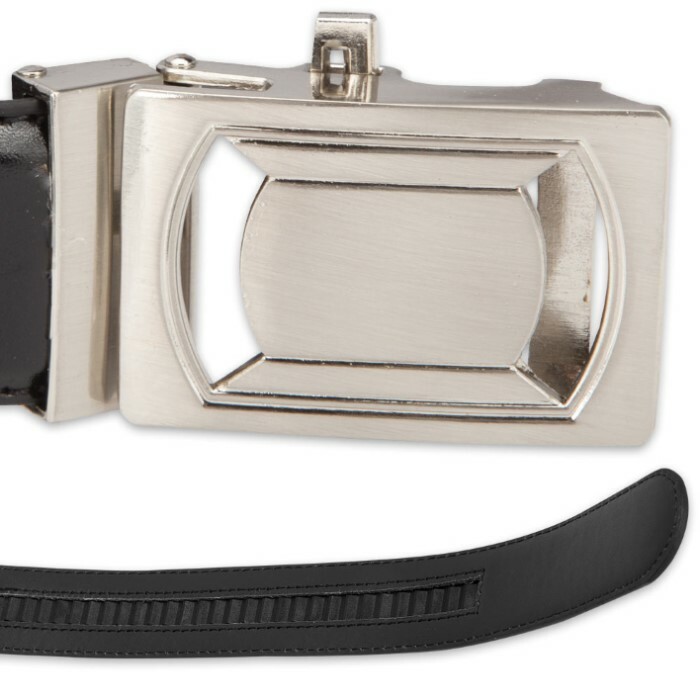 Its sleek stainless steel quick release buckle holds firm when set but loosens in a snap, easily sliding right off. And with its clean, classic look, the "One Size Fits All" Belt's style is just as versatile and flexible as its fit! Great for casual everyday wear, formal attire and more. Adjusts to fit waist sizes 28" to 56".